Santorini is a destination made of summer and love, a spectacular natural wonder as beautiful and alluring as it is unique. Summer Lovers Villa is a private villa in the village of Akrotiri that epitomizes all that is good about Santorini; the breath-taking views to the sea, the volcano and the caldera, the indulgent luxury of a destination filled with natural beauty, with rich history, art and architecture and an unbeatable romantic allure that enchants the senses. 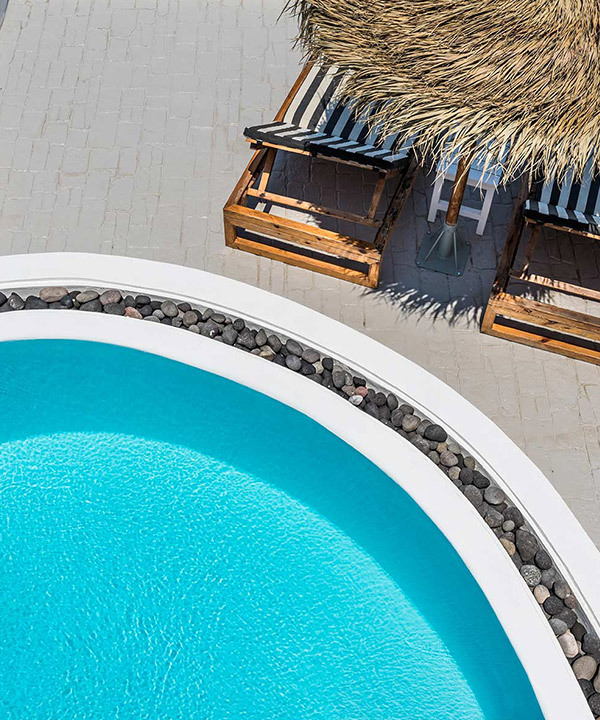 Summer Lovers Villas was made for those in love with the charms of the summer and for those in love with Santorini. Discover the amazing accommodation proposal of Summer Lovers Villa, a lavish private villa that can host groups of up to 10 persons in luxurious comfort and utter privacy designed with love and summer in mind. 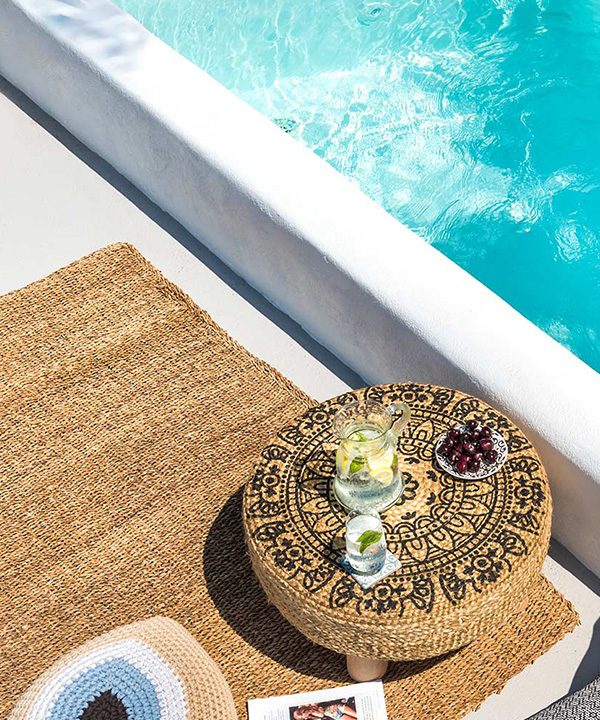 The inspiration for Summer Lovers Villa came from the mesmerizing nature of Akrotiri and the imposing energy of the caldera; we stayed true to the time-honoured, traditional architecture techniques of the island to create spaces as functional and eco-friendly as they are captivating. Sophisticated indoor spaces with creative artful touches, fully equipped with every modern amenity and a pampering Spa can only be rivaled by the sensational outdoors that feature a private swimming pool for unforgettable moments of summer love and unbeatable, truly irresistible views to the sea and the caldera. 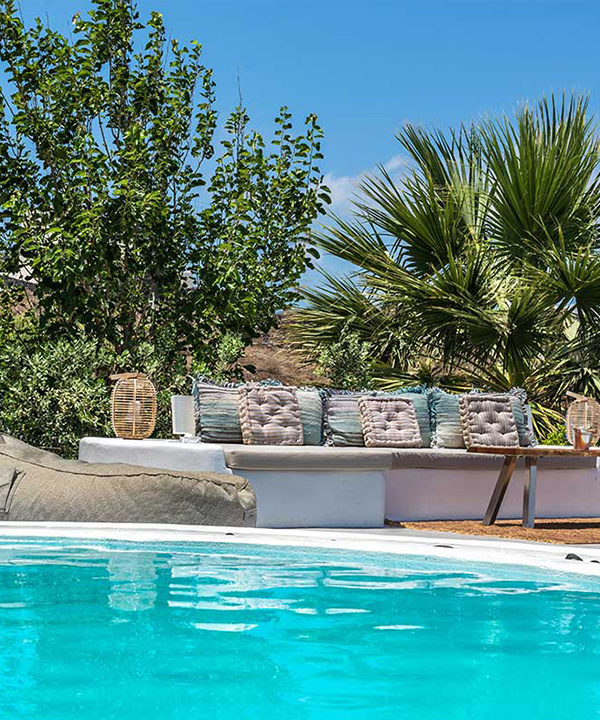 Immersed in the breath-taking nature of Akrotiri, Summer Lovers Villa was made for love, for amazing summer experiences that you will never forget. Bring your loved ones along and enjoy Santorini, enjoy the summer, enjoy love!